A different view of the wreck of the Wyre Majestic in the Sound of Islay. This from the mouth of the Margadale River, looking across Bunnahabhain Bay and over to Rubha a’ Mhill with the wreck. 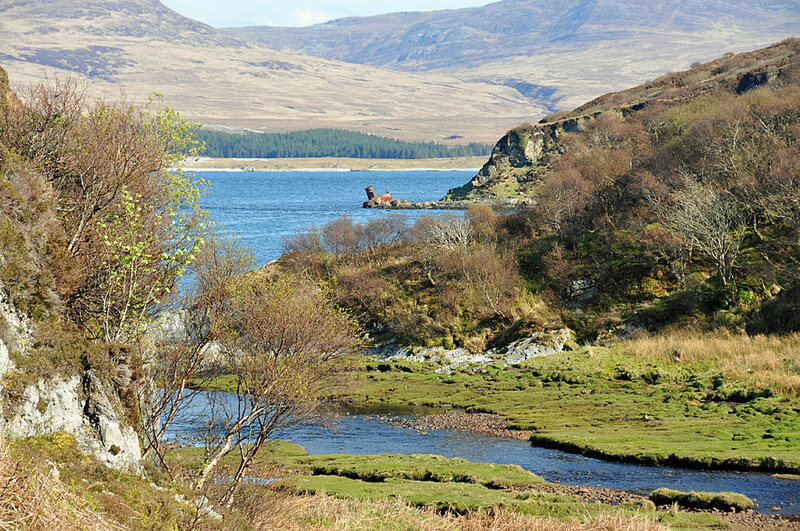 Taken on a sunny spring day while returning from a walk in the north of Islay. This entry was posted in Landscape, Repost, Sunny Weather and tagged Bunnahabhain, Islay, Margadale River, Sound of Islay, wreck, Wyre Majestic by Armin Grewe. Bookmark the permalink.